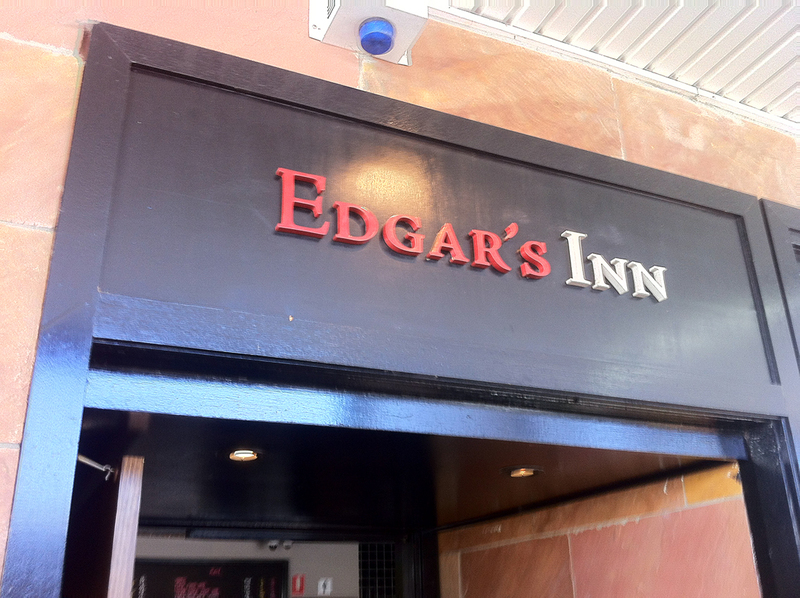 Edgar’s Inn – Canberra’s Best Breakfast? Nothing sets the tone for a sparkling weekend than a satisfying breakfast. Now that the sun has reappeared a lazy morning with papers and friends is becoming more and more attractive. So, if you’re one for the organic and healthy, or perhaps nursing the after-effects of an indulgent ‘night before’, would you ever think to go and have breakfast at a pub? Well, we certainly hadn’t. We first stumbled across this unusual venue last Spring. “Come to Edgar’s in Ainslie – good breakfast” read the text message. We were dubious, but the weight of numbers was against us. So the trek was made to the Ainslie shops and we found our group basking under the bright sun in the outdoor area decorated with pot-plants. It had been years since we’d been here. When it opened, Edgar’s Inn was nothing short of basic. Very simple wooden benches sat on a raw wooden floor. Of an evening brought undimmed lights were as atmospheric as the harsh din the most basic of interiors. 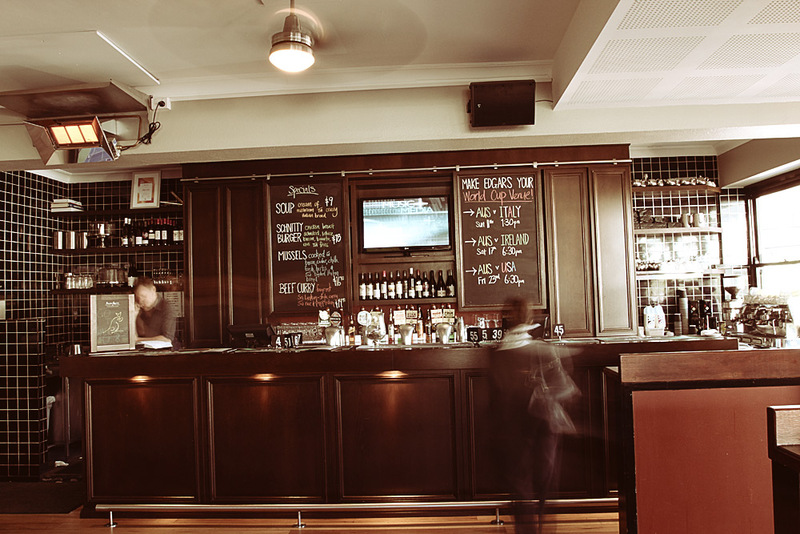 Ten years late things are very different – and with the addition of a beautiful bar area and completely redesigned exterior, Edgar’s now feels like an institution that might have been in Ainslie forever. The beauty of Edgar’s Inn for breakfast lies in two things: First, its relaxed and laid-back atmosphere where a morning rush rarely gets the better of the kitchen or the floor staff. Second, the unusual fact you’re dining at a pub means that everything from a medicinal Bloody Mary, a naughty cider, a fresh juice or simply a cup of tea is available – all made to a consistently high standard. The menu moves from the classics (Eggs on Toast – $10) to the indulgent (French Toast with Bacon and Maple Syrup – $14) or the pure (Muesli – $9). We settled on the Big Brekky served with a coffee and bottle of juice ($18) and the Salmon Rosti with avocado, olive tapenade & a tomato & tarragon salsa ($16). As you can tell by the photos these servings may be slightly man-sized, however the care taken in the presentation of these dishes is worthy of any café. It’s worth noting the current chef at Edgar’s is Matt Rayner who cut his teeth at restaurants such as Belluci’s Manuka, First Floor and – most recently – an extended stint at Parlour (prior to its untimely demise). The experience shows. 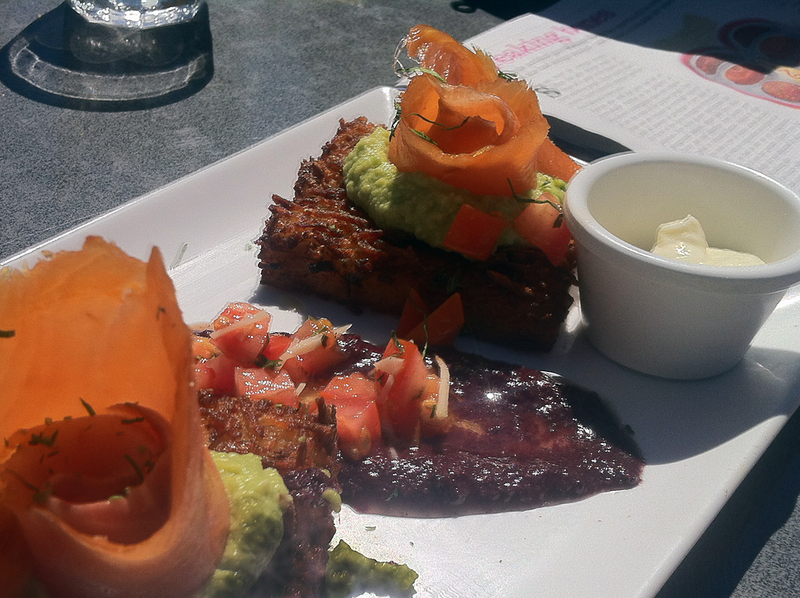 The smoked salmon was light and fresh, matched beautifully by the potato rosti upon which it sat. The tapenade and salsa add sweetness and tang. 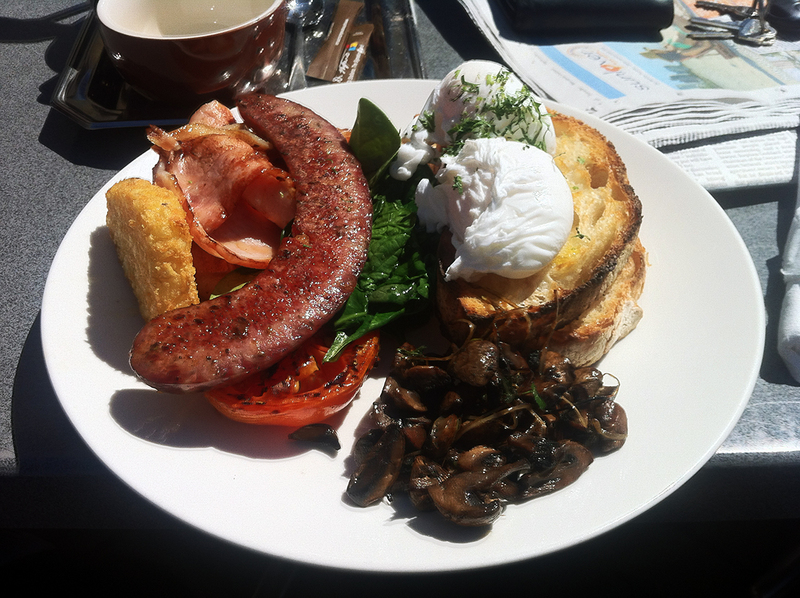 The chorizo sausage on the Big Brekky was a sensation, with enough food to have one crawling back to bed for a nap. It was hearty and delicious, and great value for money. 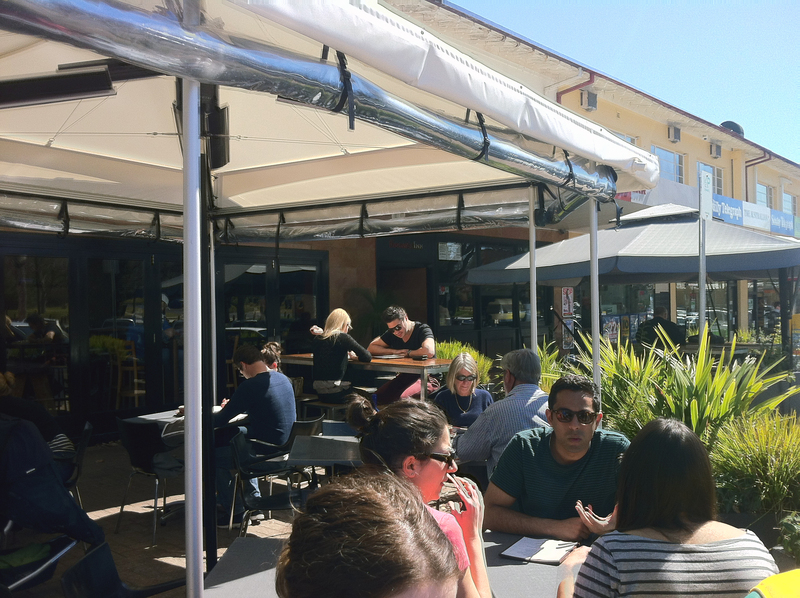 Put simply, Edgars Inn has put all the essential elements together – food, décor and service – to give one of the best breakfast experiences in Canberra. All we can suggest is you drag yourself out of bed this weekend and secure yourself a seat in the sun. It’s a superb suburban delight. What are your thoughts? Have you found a better breakfast joint?